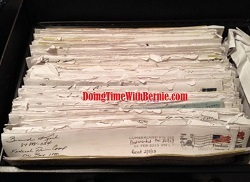 DoingTimeWithBernie.com: Bernard Kerik's alleged lies by omission on CNBC'S "WHITE COLLAR CONVICTS: LIFE ON THE INSIDE"
Bernard Kerik's alleged lies by omission on CNBC'S "WHITE COLLAR CONVICTS: LIFE ON THE INSIDE"
In full disclosure for the truth of the matter, based upon CNBC promotional video, felon liar on probation Bernard Kerik allegedly lies by omission, on CNBC's "WHITE COLLAR CONVICTS: LIFE ON THE INSIDE". 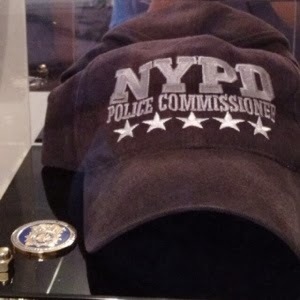 I alleged, based upon my daily interaction and personal experience with convict, Bernard Kerik, Inmate 84888-054, he received "special treatment" while incarcerated, especially in solitary confinement. 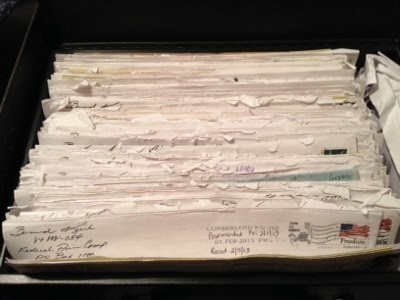 I've written openly about it here on this blog published on April 5, 2015, "Is Bernard Kerik exaggerating about Solitary Confinement From Jailer to Jailed experience rather than speak of special treatment he received from guards"
In this blog post I relay Bernie's admissions to me of specially catered meals brought to him on Thanksgiving Day as well as a rather huge deli sandwich compliments of a transportation guard who also allowed Bernie to use his private phone to call me and others "off the record" while Bernard was being transported back to Cumberland MD. 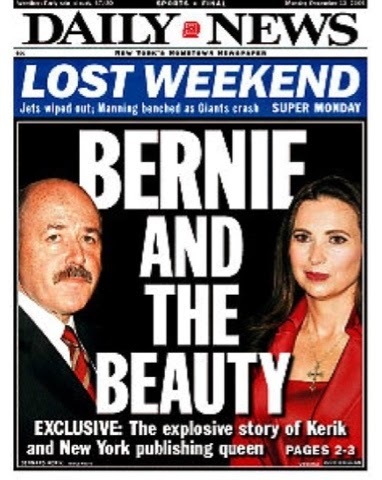 Bernie Kerik can spin his tales about feeding mice a la "Papillon" or some crazy crap but Bernie Kerik's entire incarceration as well as his probation aka "supervised release" has many examples of special treatment and second and third chances. Off the record, based on just a few intimate observations, it wouldn't surprise me if Bernie got a little s-e-x on the side "turned out" in the private confines of the SHU MCC! I emailed Mr. Sorkin with an invitation to review my documentation to include in his program. I'm sure it was simply an oversight he never replied. Maybe someone should ask Mr. Sorkin to be sure his Manhattan pedigree or some other prejudice may be lying about interfering with his ability to be journalist rather than showman. Perhaps CNBC Primetime is caught up in the rapture of the likes of these "celebrity felons" like Kerik, Kozlowski and Nacchio but I am certainly not. Bernie Kerik lives in a $2million estate in Franklin Lakes NJ, doesn't have a full time job, receives a $100,000/yr tax-free pension from the City of New York for being "made", just profited off his crime with a book published nationally by Threshold Editions/Simon & Schuster. From me, there will be no telethons, tea or sympathy for Bernard Kerik. Felon liar on probation, Bernard Kerik, who still owes the US Federal Government over $180,000 in criminal restitution should have thought of the consequences when he was getting free apartment renovation, cheating on his taxes, allegedly cheating on his pregnant wife AND two mistresses in a free apartment overlooking the burning flesh of over 2977 persons including 23 of his own NYPD officers serving at his pleasure as NYPD Commissioner. Felon on probation, Bernard Kerik, lives better today than most of us who obey the law and work like hell to survive!